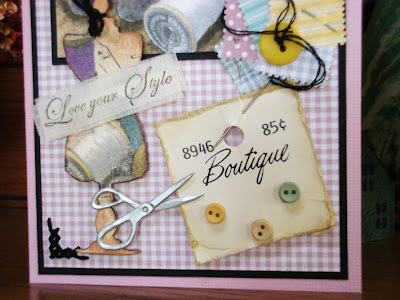 Over the week-end I had a little (Sew-Stampin’) fever. The results of this fever is this card. 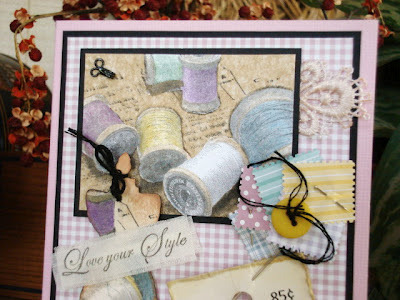 Prismacolor pencils, then re-stamped the image on brown tissue paper, to copy the look of a sewing pattern. I cut out all the thread spools, and glued the tissue paper in place. Kinda like reverse paper piecing. 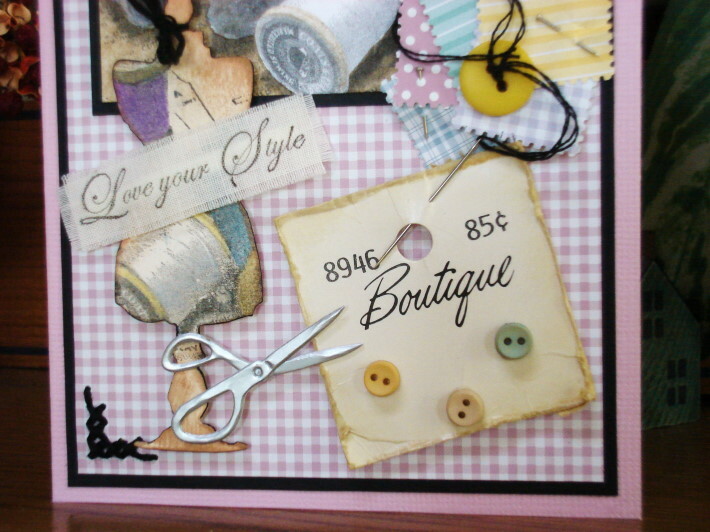 Rouge Redhead Designs (Love Your Style). This image was stamped on cotton fabric, and the thread spools was repeated on the (Mover & Shapers) Dress Form. The little shears die is from Provo Crafts. Thanks for stopping in today, stay cool and have a great week. so cool, love the result of your fever! I think you should link this up to Simon Says Stamp and Show, "Hey Girl" as well! Holy Cow, Vada!!! I thought that was designer paper or one fabulous digi image! This is just breathtaking and I will have to be picking your brain about this one! 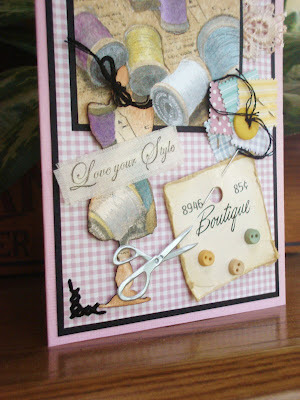 Beautiful use of images and love that sewing theme! Love how you used the mini dress form! Hugs, GF! This is an AWSOME card!!! Gorgeous card! Love the sewing theme and, of course, your fab sentiment! I thought you had used designer paper and digi images. 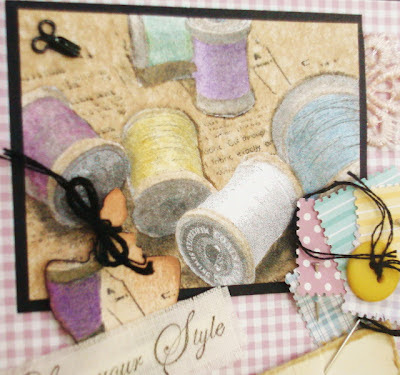 You could be creating your own designer paper. 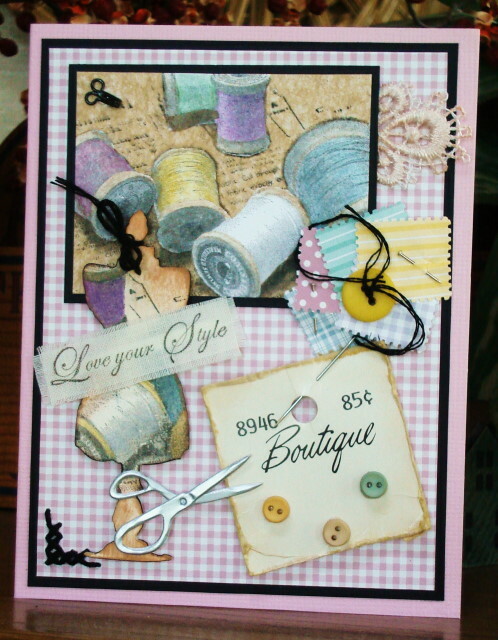 A favourite theme of mine is dressmaking so definitely appeals to me. Stunning use of stamps.